The first thing fellow researchers read when they find your paper are the title and the abstract. They find your paper, often, by typing keywords into a database or search engine that match words in your title, abstract or keyword list. It is thus really important to spend time crafting these aspects of your paper carefully, as time spent getting them right pays dividends in the visibility of your work in keyword searches within your field. To begin with, your paper needs a clear, descriptive and relevant title. Usually you have about 15-20 words for a title (check with the author guidelines of the journal you have targeted), and about 4-6 key words. A first, useful, rule of thumb is to use all of these words strategically: don’t repeat words you use in the title in the list of keywords, and avoid acronyms, even well-known ones. Use the keywords to highlight elements of your argument or paper not referenced in the title. So, you really have a maximum of about 25-30 words to play with. To begin with the title, a good starting place is to look at the title of papers you are referencing, and have enjoyed reading. What about the title caught your attention? The better paper titles indicate both what the paper is about, and something of the contribution the paper is making to the field. They are, therefore, relatively descriptive. They should be, really, because titles that are obscure, or only obliquely connected to the content of the paper will put readers off. 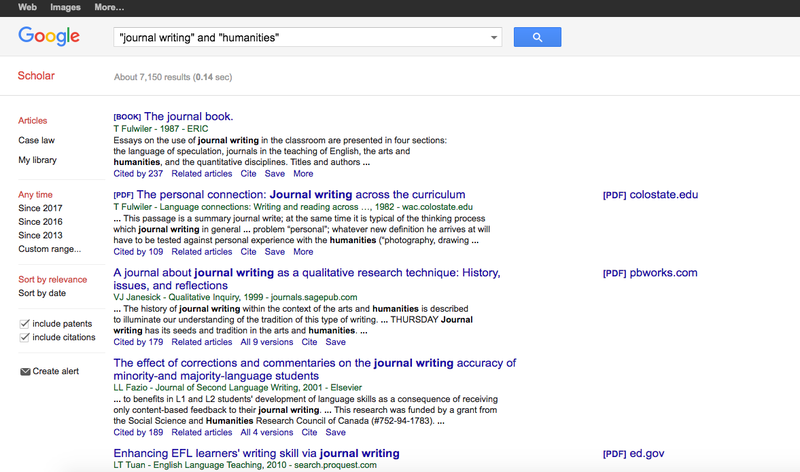 Further, titles that try to be too catchy or clever may not contain the kinds of words researchers will type into search engines, resulting in your work being too far down the list (be honest, how often do you search past page 4 of Google Scholar?). Your work will be missed, and that would be a great shame considering all the work that went into publishing it. A useful tool for crafting a title that balances a bit of catchiness with relevance and contribution is the subtitle. For example: ‘When arts meets enterprise: Transdisciplinarity, student identities, and EAP’ or ‘Chloroform fumigation and the release of soil nitrogen: A rapid direct extraction method to measure microbial biomass nitrogen in soil’. The first title marries a bit of fun with a focus on what the paper is about; the second uses the subtitle to indicate a method that the researchers are using to explore the phenomenon mentioned before the colon. Subtitles can also be used to sharpen the focus of your title, to create a limit or boundary to your research, to add additional context, or to expand on the scope of your research (See this article, and this one, for useful advice on title creation). Use your list of keywords to add to the title: mention, for example, a key methodological tool (e.g. action research, or regression analysis) that researchers might be interested on, or the theory you have used (e.g. constructivism, or social realism), or key thinkers you draw on (e.g. Karl Marx, or John Rawls), and finally on the parts of your field the paper references that the title doesn’t mention (e.g. disability studies, or political theory). This should ensure good visibility for your published paper. 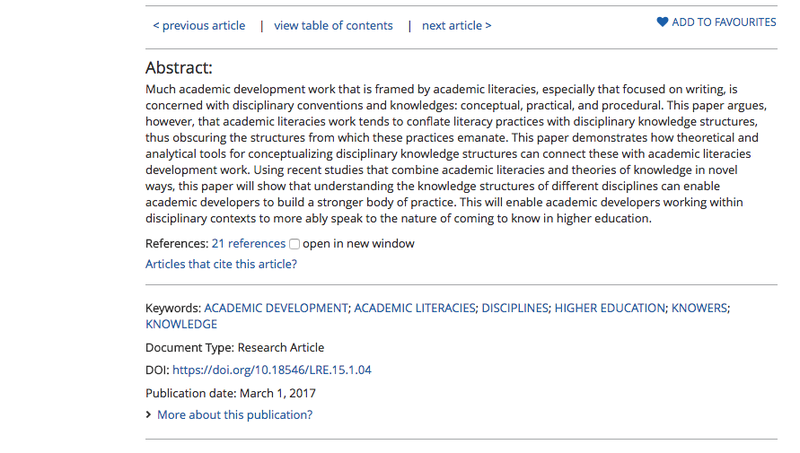 The abstract, after the title, is the first thing researchers read of your paper. Often, given the current system of paywalls and needing access to databases or your library’s holding to find the full paper, it is the only thing people can read to decide whether they want to pay for it, or search harder for the free version. So, it is really important to craft a clear, persuasive abstract that makes them want to read more. Barbara Kamler and Pat Thomson helpfully refer to the abstract as ‘the Tiny Text’: all of the relevant parts of your paper have to be in your abstract, in much abbreviated form, i.e. the focus of your paper, the argument it makes, the methodology, the main findings and the significance of those findings for your field. This is a tough ask when you often have only around 150-200 words for the average abstract. A useful tool I learnt at a workshop from Lucia Thesen, and now use with postgraduate writers in my courses, is ‘the fairytale’. It goes like this, with you taking two sentences or so to complete each line. This helps you create a gentle, narrative story about your paper, covering the main aspects of the abstract – the area of research you are locating your study within, the gap you have located, the way in which your research was conducted, your major findings, and what contribution your research could make to your field (related to the problem you are responding to). • In this paper I focus on …..
• The paper argues that…. A useful thing to do is to read carefully the abstracts of the papers you are citing, and critique them against this basic guide: do you understand why this research has been done, and what it aims to achieve? Do you understand how it has been done and what the main findings are? Do you have a sense of what the research contributes to the field? It is interesting, and well-written? If any of these elements are missing, consider how the abstract could have been better written for you, as the reader/researcher. Then apply this reflection to your own abstract. Think about your readers carefully, and what they need to know to understand what your paper is arguing, where this argument fits into the field of research it is concerned with, how the research was conducted and what it found, and why the research matters. (See this article for useful advice on abstracts). You should start your paper writing process with drafts of your title and abstract, to give you focus and a direction for the paper as a whole. But these drafts should be carefully revised again at the end, when your paper is finalised, to ensure that they are connected, and that the title, abstract and added keywords best reflect your research, and get it noticed, read, and hopefully cited.